In this analysis, the Conservatives are just edging Labour by 0.2% on social media as a result of a stronger Facebook following (203,175 likes). Labour have the best Twitter presence, however, with 139,546 followers; over 27,000 followers ahead of the Conservative Party. UKIP are also performing strongly on Facebook (194,058 likes) making up for a poor Twitter following (61,716). 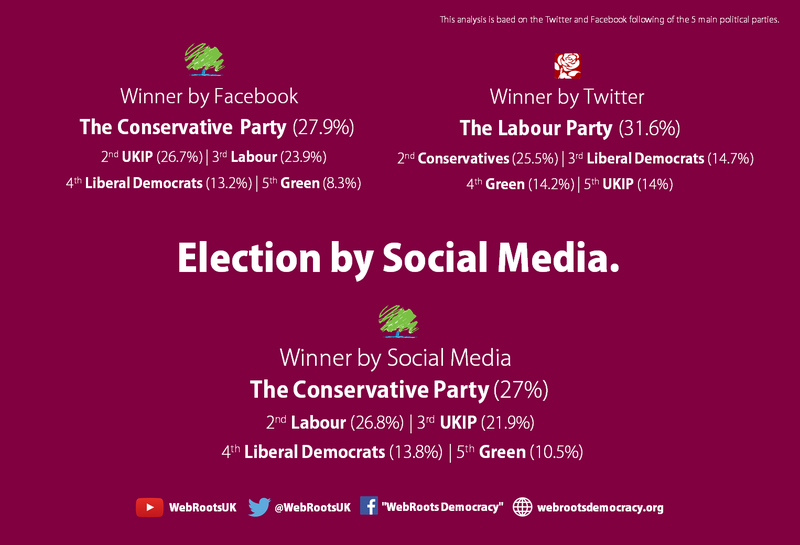 The Liberal Democrats take 4th place, thanks to a stronger Facebook presence. On Twitter, they are almost neck-and-neck with the Green Party.